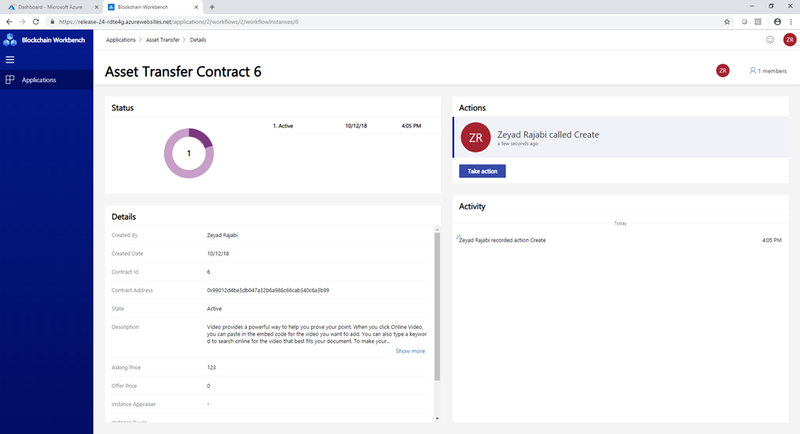 We’ve been very grateful for the feedback you’ve given us since we first introduced Azure Blockchain Workbench in public preview a few months ago. Your feedback continues to be an essential and impactful part of our work. For this release, we focused on making Workbench more accessible for everyone. Accessibility is a key pillar in our vision of empowering every person and every organization to achieve more. 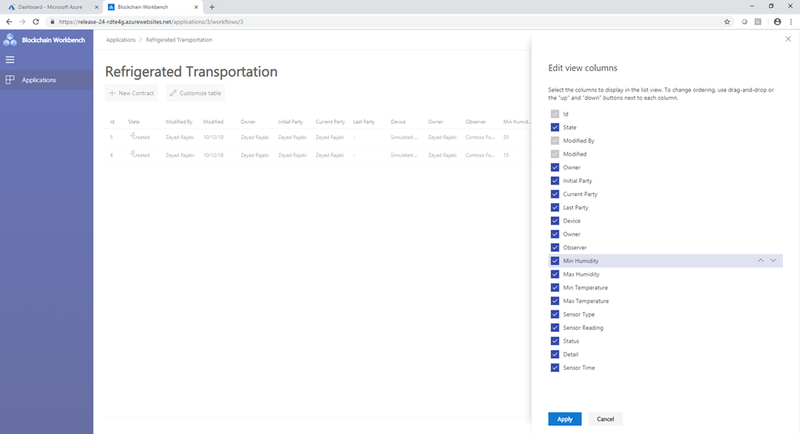 We are excited to share some of the improvements we’ve made with accessibility in mind. 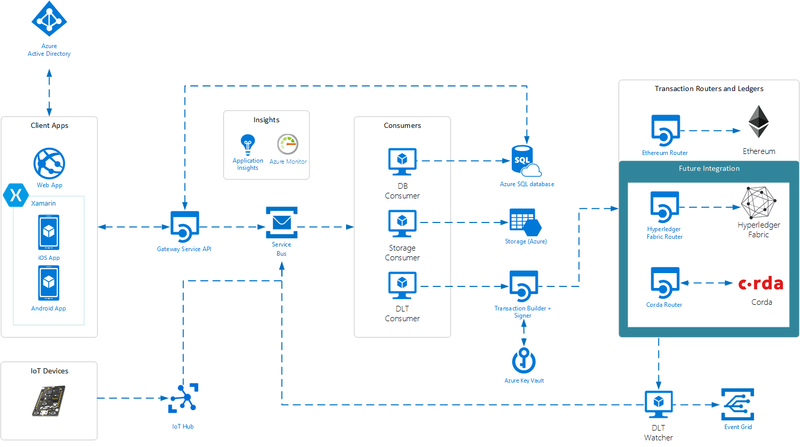 Azure Blockchain Workbench is far more than UI within client apps. Workbench provides a rich developer scaffold for you to develop and integrate blockchain solutions within your enterprise. The Web client gives you an easy to use the environment to validate, test, and view blockchain applications. The application interface is dynamically generated based on smart contract metadata and can accommodate any use case. The client application delivers a user-facing front-end to the complete blockchain applications generated by Blockchain Workbench. With version 1.4.0, the Web client now fully supports screen readers in terms of navigation and reading information. In addition, we updated the Web client to better support keyboard shortcuts and navigation. We hope these improvements can make you more productive when creating blockchain applications in Workbench. Workbench dynamically creates Web client UI based on your smart contracts and application configuration. Workbench summarizes smart contract instances as a table in the Web client based on the properties specified in the application configuration. Depending on the blockchain scenario, developers may specify a lot of properties for any given application. Unfortunately, if any properties are specified, the smart contract table within the Web client UI will become hard to read due to the size and number of columns of the table, see the below image. In some cases, properties may be more useful from a reporting perspective rather than a user experience perspective. To help with the readability of the smart contract tables, we’ve introduced a new feature, which allows users to customize the smart contract table in terms of visible columns and order of columns. Below is a screenshot of the customized table pane, which allows each user to toggle the visibility of table columns as well as adjust the ordering of columns within the table. The smart contract table view will reflect all changes applied via the customize table pane. With 1.4.0, we now support array datatypes as part of constructor and function parameters as well as smart contract properties. Arrays allow you to create blockchain apps where you can input and represent a strongly typed list of content, such as a list of numbers or values. Workbench currently supports static and dynamic arrays of integers, booleans, money, and time. Workbench does not yet support an array of enums or array of arrays, including strings. Note, for string support we’re waiting for Solidity functionality to get out of preview. Let us know if these limitations are blockers for you. If this function is not part of your Solidity code, we will show an error when uploading your blockchain application. One of the limitations in Workbench is the data type strings can only be 256 characters. We’ve received feedback from folks who wanted us to increase the limit. With 1.4.0, the new limit is 4,000 characters. Note, using more characters will result in using more gas when processing transactions. When building your smart contracts, please be aware of the block gas limit and build your smart contracts with that limit in mind. With 1.4.0, we’ve made additional reliability improvements to the DLT Watcher microservice, see the Blockchain Workbench architecture document for more information on this component. The Watcher has been rewritten and is able to process blocks at a much faster rate.